1316 AD. After the death of Alauddin Khilji in the next ten years then Sisoda village Hmmir normally in possession of the Mewar dynasty new Sisodia dynasty established. Her “Vismgati panchanan” savior of Mewar, “and in the book beloved jolly” Virraja “was coined. In his time as” The Cbutra Ntni is built on the shores of Lake Pichhala. Kheta and Rana Rana Lakha Lakha after Hmmir happened during the reign of the ruler of Udaipur or silver in Zawar Khan said. At the same time, the 14th century name Pichcu Bnjare (Cidimar) built the Udaipur Lake Pichhola. Rana Lakha Rathod Ranmal married the sister of his son Cuda Kuvanr Hansa Hansa Bai Bai fixed but he himself married Rana Lakha. Hansa Bai imposed a condition that his son ruler of Mewar, which stipulates forming Kuvanr Cuda conceded. Kuvanr lifelong singleness of the same promise because of Bhishma Bhishma Pitamah of Rajasthan, called Cuda. After Lakha Rana of Mewar ruler Mokl Hnsabai son. 1433 E. Mokl killing. Mokl his uncle and the son of Kumbha today also want to kill the But of Marwar and Mewar Radhav Ranmal Rathore Dev Sisodia to Kumbha of Mewar ruler. Rana Kumbha was a scholar of music. Rana Kumbha the “Abhinw Btrtachary” by Rana Kumbha, also called “Sngeetraj” “Rsikpriy” “Dance” “Ratan Fund” and “Sud” Managing the creation of texts and commentary on Rasika Priya Gita Govinda. Mndn renowned architect was at the court of Rana Kumbha. The “Mndn as” “Offering Mndn” “Washumndn” “Rupawatar Mndn” composed texts. Rupawatar Mndn (sculpture episode) It gives information on sculpture.Natha’s brother Mndn the “Vshumnjri” son of Govind Mndn book composed of “Emancipation Gurini” “Deepik door” and the court poet Kumbha Kanh Vyas Ji “wrote treatises in ekalinga. 1468 e. Kumbhalgarh Castle, son of Rana Kumbha Uda (Udaykrn) murdered his father. Udaykrn called the patricide. Kumbha of Mewar son Rayml banished from the Uda and the ruler himself. Sisodia was the fastest runner of the greatest sons Prithviraj Rayml. He was flying Prince was called. 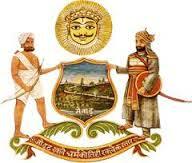 1509 E Rayml Sangram Singh’s son became the ruler of Mewar.